Gerry O'Riordan is a freelance recording engineer with over 20 years' experience in the production of high quality orchestral and jazz projects for film, television, CD and DVD. He has a relaxed and musical approach to the recording process whilst retaining an insistence on the highest levels of quality control - a reflection of his rigorous and professional training with some of the UK's most respected engineers. Gerry's employment at Olympic Studios in the late 1980s brought him under the tutorage of the legendary Keith Grant, for whom he worked as personal assistant for over four years. This association enabled Gerry to work with some of the world's leading composers and artists, including Elmer Bernstein, Johnny Mathis, Michel Legrand, Tony Bennett, George Fenton and Gabriel Yared, to name but a few. Through his relationship with Keith Grant, Gerry also met and worked extensively with John Timperley, the creative force behind Angel Studios in North London. Working with John gave Gerry a vast breadth of experience in the location recording of large-scale classical music projects, opera and theatre, in venues ranging from the Royal Albert Hall to Liverpool's Anglican Cathedral. Artists involved in these projects included Sir Paul McCartney, John Tavener, Sir Peter Maxwell-Davies and Sir Neville Mariner, amongst others. 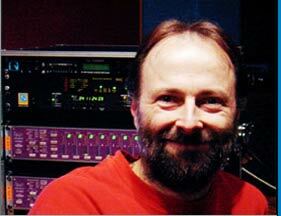 Throughout the 1990s Gerry held the position of Studio Manager and Chief Engineer at Snake Ranch Studios in Chelsea. Following the closure of Snake Ranch in June 2004, Gerry set up and ran his own 5.1 music mixing facility at Pinewood Studios in Buckinghamshire. He is now based at The Soundhouse in west London and continues to work with some of the country's leading composers and artists in studios throughout the UK and Europe. Spatial Audio exists to offer a complete and professional service to anyone in the business of producing music, from consultation on suitable venues to recording, mixing and delivery of final masters.